Do you have a winter vacation or weekend getaway planned shortly? Then you’re sure to be planning packing your clothing, skin care and gadgets along with you. But have you thought about how you’ll carry it all, especially your makeup? While a suitcase and carryon will do fine for the others, a vanity case or cosmetic pouch is what your makeup needs. No matter how short or long your trip is, these 6 options will transport your goods carefully while looking great. 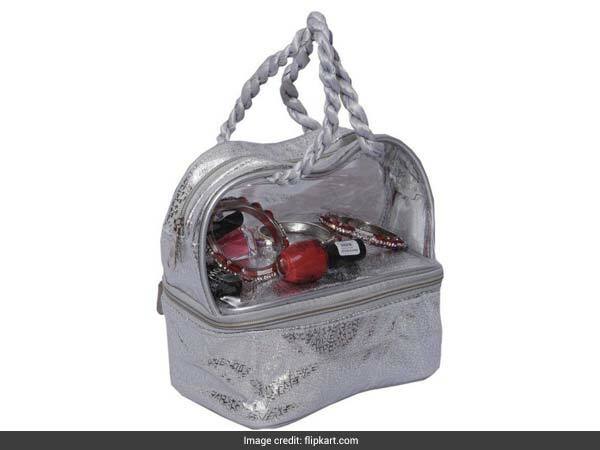 The Stripes Glitter Toiletries Pouch Organizer has a single compartment with a cute lipstick patch on a base of bronze glitter. It is available for Rs 398 from Rs 3,500. Shop here. The HappenWell Bucket Cosmetic Bag is a travel case for absolutely all your needs. 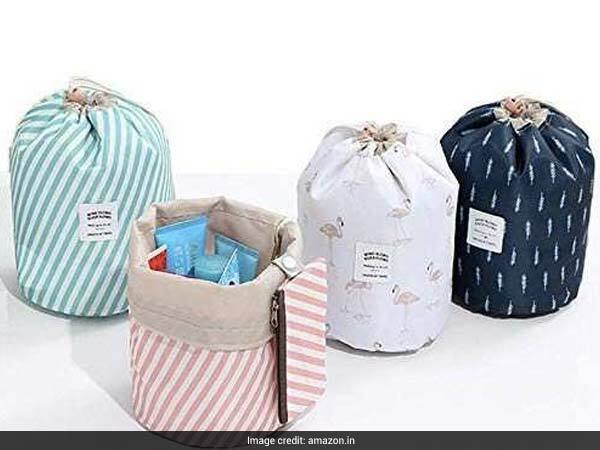 It comes in a barrel shape with a drawstring top and zip purse for spacious storage. It is available for Rs 299 from Rs 699. Shop here. 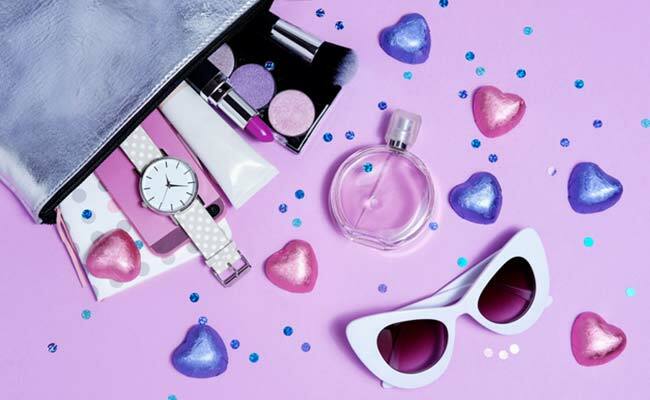 The Oriflame First Impressions Beauty Case is smart as it is stylish. It has a partition inside and a net pouch for smaller items. 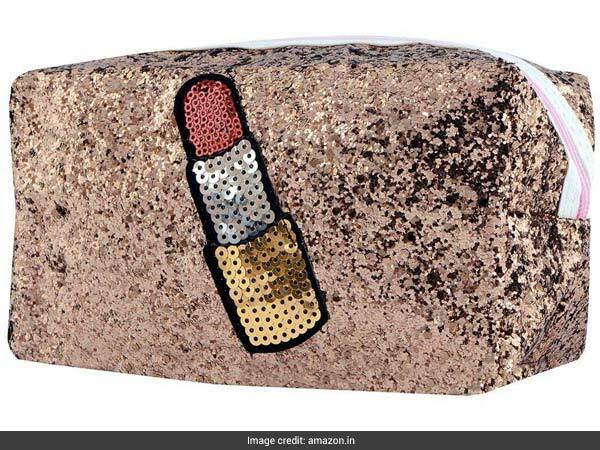 It is available for Rs 1,270 from Rs 2,999. Shop here. 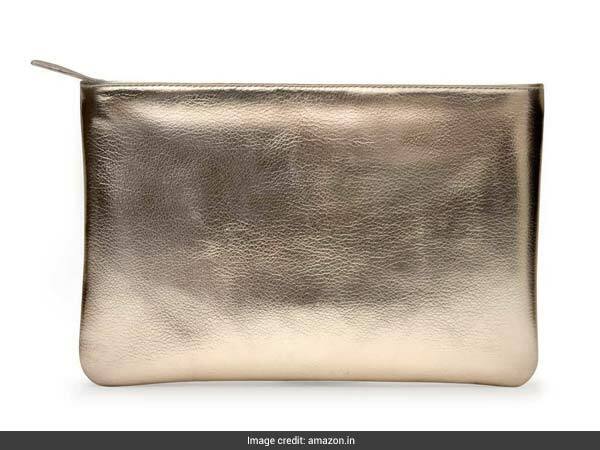 The Daily Objects Metallic Pouch looks as good as a purse you’d carry to the club and could be used for it too. It comes with a single pocket and metallic bronze finish. 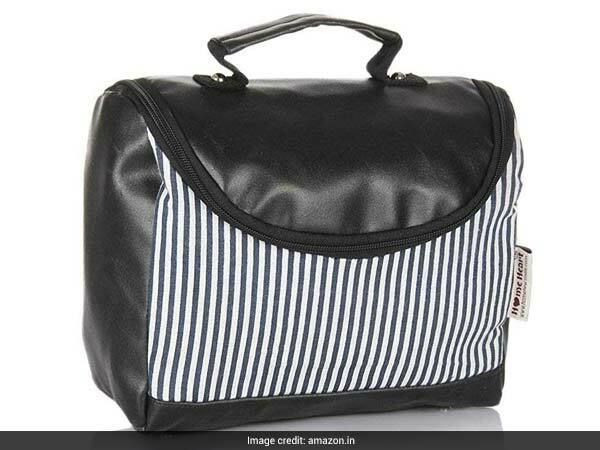 It is available for Rs 599 from Rs 999. Shop here. The Home Hearts Cosmetic Case is as roomy as it gets. It has a striped exterior and tall length to allow storage of taller products too. It is available for Rs 599 from Rs 699. Shop here. The Kuber Industries Vanity Box will organise all your makeup properly with 3 sections and 1 transparent compartment for easy access. 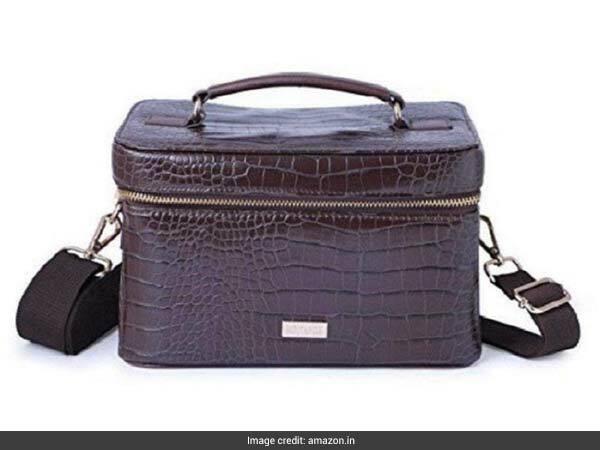 It is available for Rs 539 from Rs 999. Shop here.